The strength of any good company is its people – the employees who work hard to advance its vision and mission. The DeGroote School of Business maintains a strong partnership with many such companies across Canada, in order to provide students with hands-on learning experiences through internships and co-ops. Rebecca Snary, now in her final year of the School’s Commerce program, recently benefitted from a 12-month internship at Dyson Canada. A leading global technology company headquartered in Wiltshire, England, Dyson is world-renowned for its invention and innovation. Once known primarily for their line of vacuum cleaners, Dyson is transforming to encompass other categories, including hair dryers, lighting fixtures, air purifiers, heaters, and humidifiers. The company encourages their scientists, engineers, and business development staff to find solutions to common problems in everyday household items. In recent years, Dyson has made a habit of hiring students from DeGroote for their business insights, practical skills, and fresh thinking on various issues. 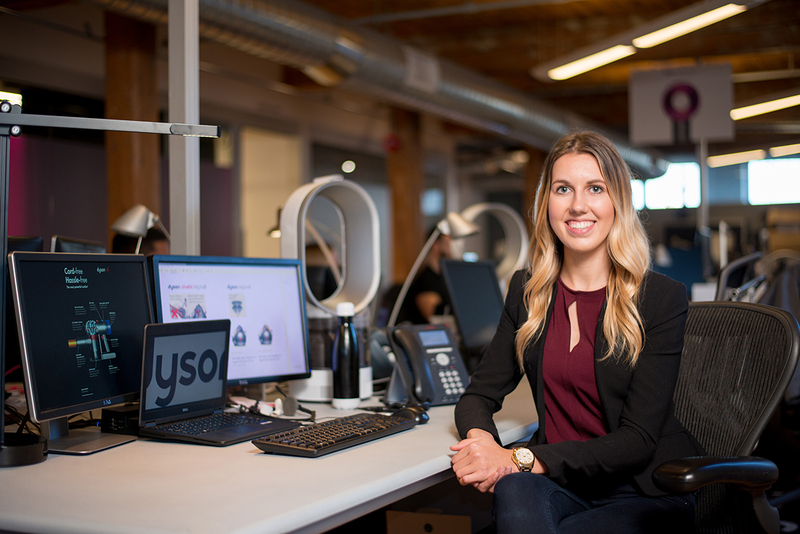 “In the past few years of recruiting interns from DeGroote, we have been impressed by their strong business skills and discipline, and by the fantastic energy and vibrancy they bring to our culture,” says Chandra Colbear, Marketing Director at Dyson Canada. DeGroote’s relationship with Dyson doesn’t end with hiring interns. 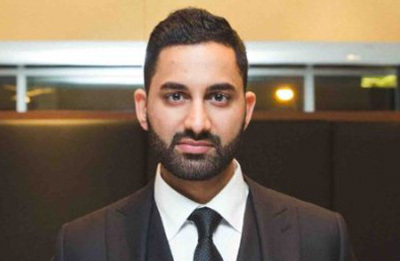 Aazam Bhimji MBA ’10 is currently serving as Brand Manager of Environmental Control at Dyson. While reviewing MBA programs across the country, Bhimji ultimately selected DeGroote based on its close relationships with major employers. Even though he possessed an undergraduate degree in biochemistry, Bhimji was hoping to begin a career in marketing. “I was looking to gain exposure in real-life settings, and build my academic experiences through the program,” he explains. The DeGroote Internship Program gives students the unique opportunity to develop hands-on experience with an employer during a 12 or 16-month work term. Created in 1994, it supports DeGroote’s focus on experiential learning by enhancing classroom education with real-world, paid opportunities in the business community. For more information on how a company can recruit student interns from DeGroote, click here.